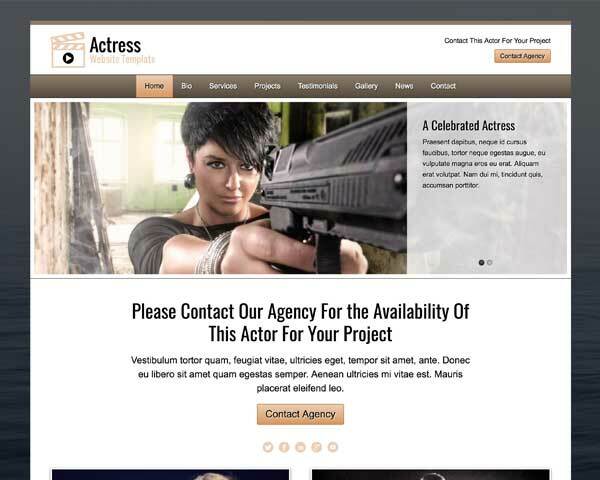 The Actor WordPress theme is the best way for actors and actresses to display their various talents. 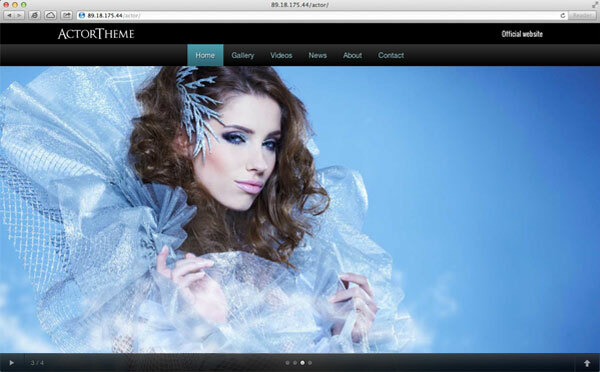 Get more control over your online presence with beautiful photo and video galleries. 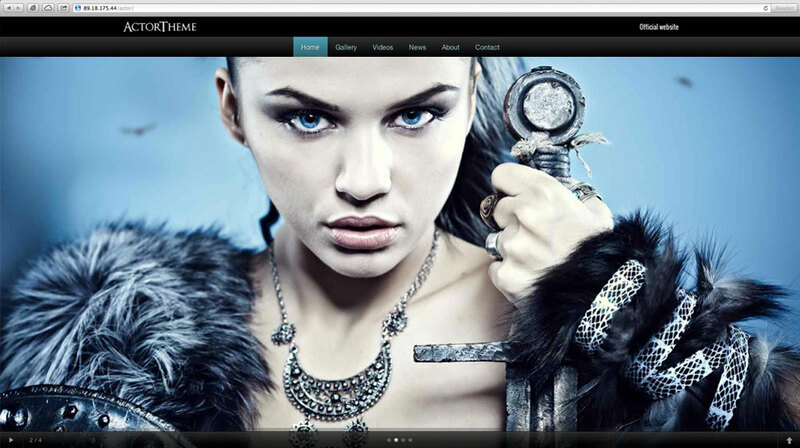 With the Actor WordPress theme we provide you with all the control you'll ever need over your online presence. The majority of actors and actresses are represented by agencies. This means that the often limited online toolset of the agency is your only way to promote yourself on the web. No longer so. 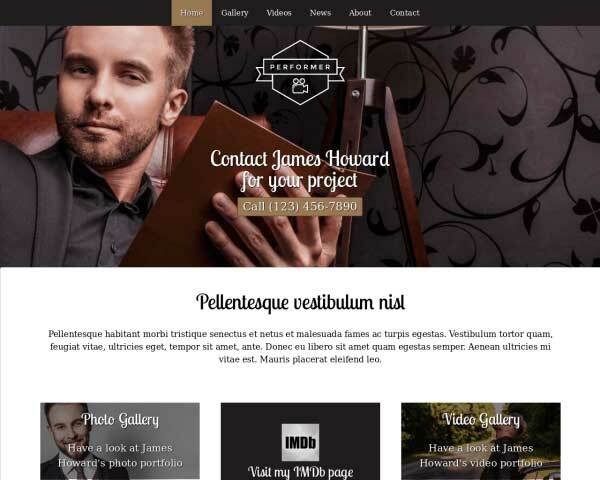 With the Actor WordPress theme every actor has the perfect weapon at his or her disposal to attract new clients and interact with your fans. 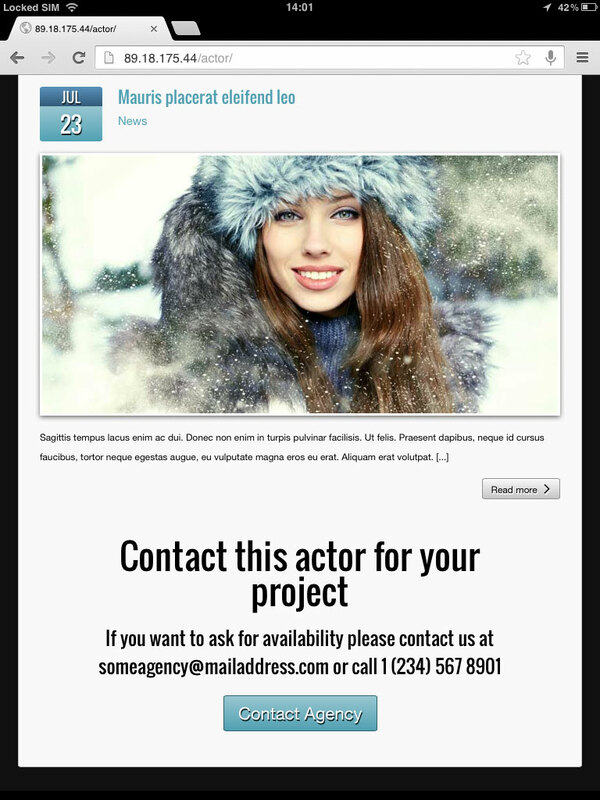 With our csv widget adding your very own IMDB-like filmography and other areas that might interest prospective clients has never been easier. 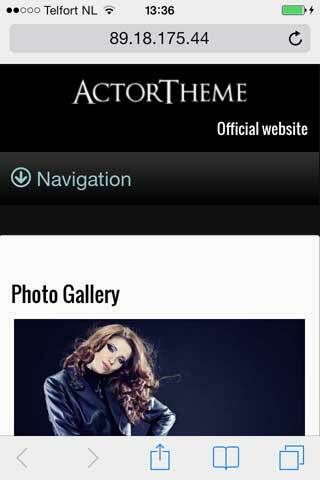 The Actor WordPress Theme is designed with the specific business needs of actors in mind. 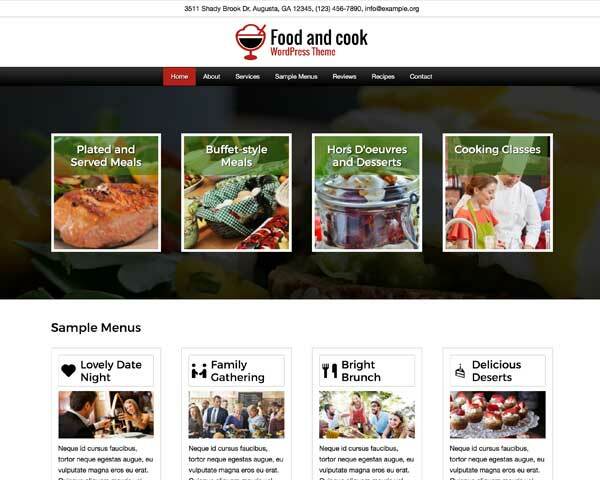 Elegant design and pages for each type of service are just the beginning. 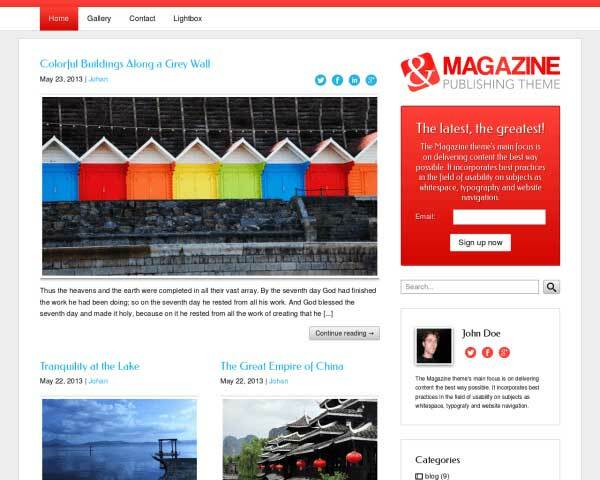 The Actor WordPress Theme theme features an accessible, easy-to-navigate design that gets visitors excited about your unique services. 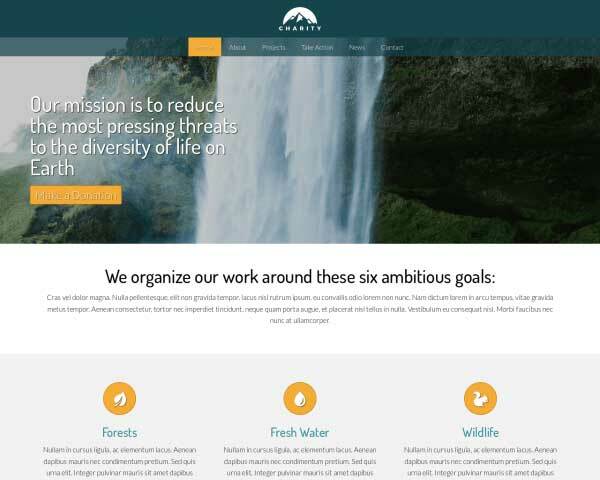 The Actor WordPress Theme includes YouTube and Vimeo widgets so you'll be able to easily embed responsive videos that will get visitors excited about your acting services. Wanting to have a mobile website doesn't mean you have to no the intricacies of responsive design: the technical vehicle that makes it possible. Even more so, you shouldn't want to know how it works so you can focus your time and energy on your specific trade. 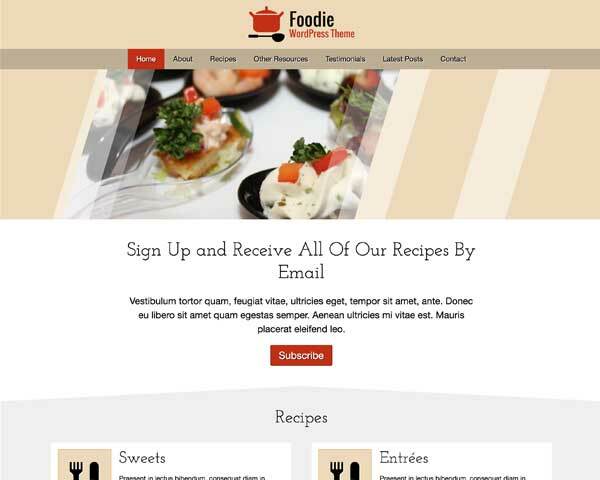 And that's exactly what we've done with this responsive Actor WordPress theme. We've laid the technical foundation so you can have your mobile website. 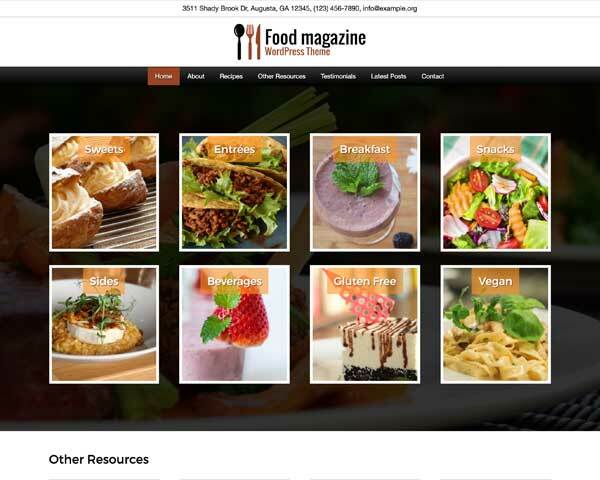 And when maintaining and expanding your site, your site stays that way without you having to think about it.